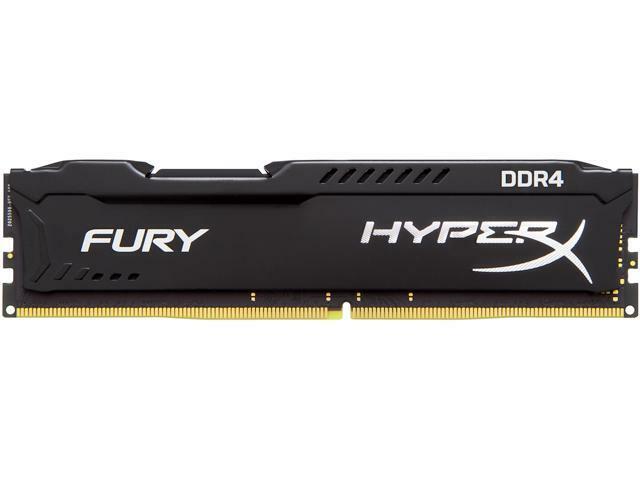 HyperX® FURY DDR4 memory automatically overclocks to the highest frequency published, up to 2666MHz1, to deliver instant top-level performance for motherboards with Intel’s 100 Series and X99 chipsets. 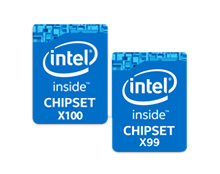 It’s a small investment for premium components that complement Intel’s 2, 4, 6 and 8-core processors for faster video editing, 3D rendering, gaming and AI processing. 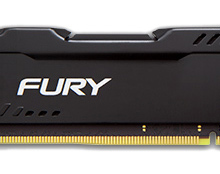 FURY DDR4 is available in 4GB and 8GB capacities and 8GB–64GB kits. Its stylish low profile heat spreader with signature FURY design lets you show off your rig in style. HyperX FURY DDR4 is the first product line to offer automatic overclocking up to the highest frequency published. 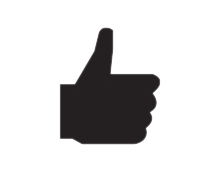 Get the speed you want — hassle free. 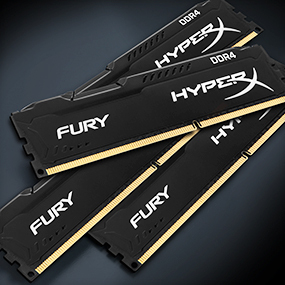 HyperX FURY DDR4’s lower power requirements result in less heat and higher reliability. 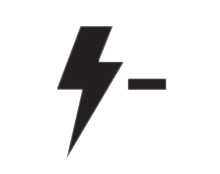 Low 1.2 volts draw less power from your system for a cooler and quieter PC. Stand out from the crowd and show your style with FURY’s asymmetrical signature heat spreader. Available in black with matching black PCB, FURY DDR4 memory complements any motherboard with Intel’s 100 Series or X99 chipsets. Cons: the price, and some of you might think its pretty good, i bought this ram in June of 2016 with no sale and it was $55 U.S., Sense then I've had a hard time not only finding this ram in stock on various sites but if i do its at $105-$115 USD which is odd to me considering i got it for half that not on sale. Cons: I bought an ASUS B150 PRO GAMING/AURA Motherboard and this wasn't compatible with it. I took it to a computer show and they flashed the BIOS with server RAM, after that it worked fine.